March 15, 2019, marks a watershed moment for the global youth movement to foster a resilient and sustainable future in the face of climate change. Across more than 120 countries and more than 2,000 cities globally, over 1.4 million students skipped school to protest the lack of policy action on behalf of governments at all levels—national, state, and local. The results and dynamics of self-organization driving this movement are remarkable. 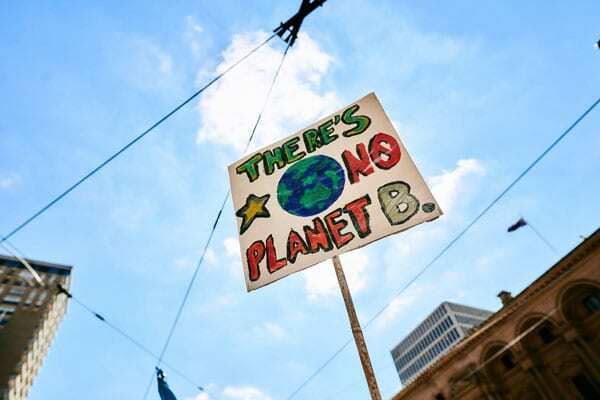 For example, in January, more than 30,000 students in Brussels skipped class to demand action on climate change, and two weeks later, more than 60 cities across the UK had student protests numbering an estimated 10,000, including teachers demanding curriculum changes. These results come not from top-down organizing but instead reflect principles of self-organizing at the heart of many living systems and social movements. For nonprofits involved in social change and systems-shifting efforts, it is important to understand the core elements of self-organizing and how they work in organizations and movements to bring about change. Self-organizing stands in stark contrast to traditional hierarchal organizing, which demands prediction, control, strict definition, regimentation and categorization, and, often, inflexibility in the face of pursuing goals. This top-down approach has served organizations well and underpins much of organizational development, strategic planning, and operational norms within many organizations, including nonprofits. However, in rapidly changing and shifting environments where problems are systemic, adaptability and fluidity are essential to effectively maneuver. Thus, centralized leadership falls short, and in order to solve these complex problems, organizing efforts must operate differently. By contrast, self-organizing efforts continually rearrange themselves based on changing needs in the environment, with individual actors experimenting with approaches, processes, ideas, and models of intervention that are localized as exploratory solutions to issues. Leadership is distributed in self-organizing systems, where everyone has the ability to initiate discussions, actions, and conversations based on the needs that they observe. As actions occur locally, reflection and discussion about learning ensue, which stimulates more generative actions initiated by increasingly diverse actors who possess different, unique, and relevant skill sets. Consequently, self-organized efforts are more adaptive and resilient, and the results are far more emergent than predictable hierarchal approaches. Organizations are living systems. All living systems have the capacity to self-organize, to sustain themselves and move toward greater complexity and order as needed. They can respond intelligently to the need for change. They organize (and then reorganize) themselves into adaptive patterns and structures without any externally imposed plan or direction. There is no tactical theory so neat that a revolutionary struggle for a share of power can be won merely by pressing a row of buttons. Human beings with all their faults and strengths constitute the mechanism of a social movement. They must make mistakes and learn from them, make more mistakes and learn anew. Time and action are teachers. When we planned our strategy for Birmingham, we spent many hours assessing Albany and trying to learn from its errors. Aside from ongoing reflection and learning, the most immediate, practical, and impactful strategy for sustaining social movements like the youth climate movement is to build the capacity of those movements to accelerate self-organization. While many funders look to leverage the “trigger events” of movements that shift public opinion and perception concerning issues, choosing to invest in infrastructure of established organizations and in anchor volunteers, a more effective tactic is disseminating materials on self-organizing and supporting ongoing learning efforts geared towards understanding and expanding self-organizing strategies such as clustering, communications ecosystems, and communities of practice. These areas provide fuel to movements by developing a dynamic, distributed, and sophisticated understanding of self-organizing that leads to ongoing action at local levels where policy action is accessible.